Well designed computer software makes the EXERTECH weighing system easy to use. Weight is recorded as a continuous graph while the person being weighed ducks under the water. 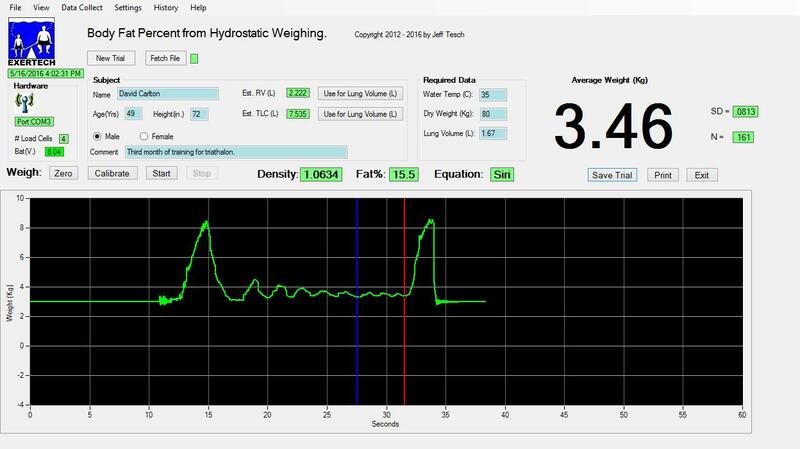 After the person has been weighed, clicking the STOP button freezes the graph of weight. After weighing, the red and blue lines can then be dragged to bracket any part of the graph. Average Weight, SD, N, Density and Fat% are instantly recalculated as the lines are moved.